A white marble statue which shows the two daughters of Ellen-Jane Robinson (nee Woodhouse) asleep on a bed in each other’s arms. 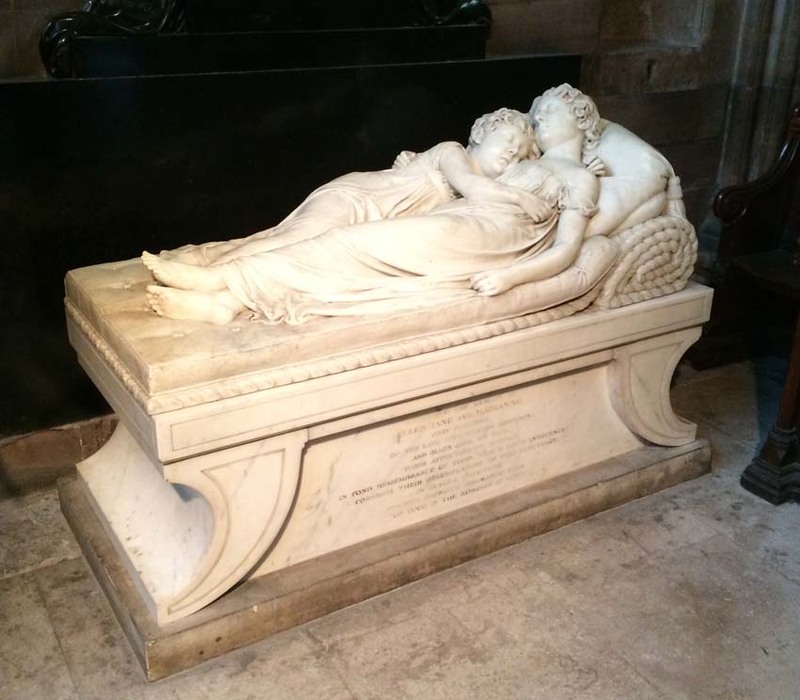 The sculpture is a graceful depiction of the tragic death of her two daughters who died of sickness and a fire as well as her husband Reverend Robinson (clergyman at Lichfield Cathedral) who died of tuberculosis. Sculpted by Sir Francis Chantrey in 1817.